Dolcetto grape can express more complexity, richness and can age well. The disciplinary establishes one year of aging minimum. A high quality wine which ages well, deep ruby red with shades of violet with a fresh, rich, fruity bouquet, full bodied with intense fragrances of woodland, pleasantly tannic and a slightly almond final note. 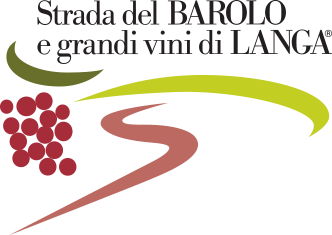 It has the same basic characteristics of the Dogliani Docg, notable for separate fermentation of grapes which come from a balanced blending of the Dolcetto grapes of the best vineyards in the Einaudi estates, located on the “sorì” (South facing) of Madonna delle Grazie in Dogliani. A long and cautious maturation is required to give this traditional wine of the Langa its full potential. Of a dry and moderately acidic taste, after a year of ageing in wood barrels, two months of refinement in glass, it has a good body and full taste with a long final almond note, typical of this wine. The annual production is of 20.000 bottles. Cru: San Giacomo and Madonna delle Grazie 350 m.
Fermented in steel and concrete tanks under strict temperature control (28°C), racked after 8-10 days, decanted, gotten malolactic treatment and completed at a controlled temperature. Decanted in wood for the period of aging and for the definitive maturation, re-come into the steel and concrete tanks, bottled at the end of the year.